Intimate tales of the unexpected. A collection of songs on subjects as eclectic as medieval torture, wandering spectres, the plight of the last polar bear on earth, the tragic downfall of The Biscuit Tin Hero and a host of other stories taken from Jonathan's various CDs. 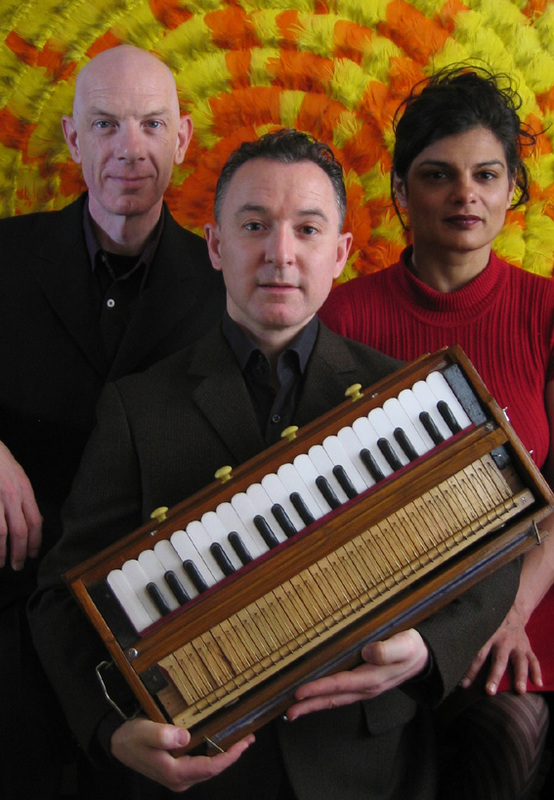 A Cabinet of Curiosties is performed live by Kevin Walton (voice), Thangam Debbonaire (cello) and Cooper himself on clarinets, piano and other instruments that come to hand. Jonathan has set to music the most intriguing of labels from various art galleries around the world including The Wallace Collection, The British Museum, The Victoria and Albert Museum and the Art Gallery of New South Wales. The collection is ever-expanding and was first performed for the Rijksmuseum at their Trompenburg outpost on the outskirts of Amsterdam. Go here for more information and to listen to the Labels. Although classically trained as both a singer and an actor, Kevin’s performance career encompasses a wide range of genres from medieval plainsong, to classic Broadway musical theatre, from Mongolian overtone singing to jazz. His credits include several award-winning musicals and films including the European premiere of Sondheim’s Assassins at the Donmar Warehouse and Mike Leigh's Oscar-winning ensemble film Topsy-Turvy. He played Max in the original cast of Sam Mendes' acclaimed production of Cabaret and has performed in seasons for The National Theatre and most of the U.K.'s leading repertory companies. 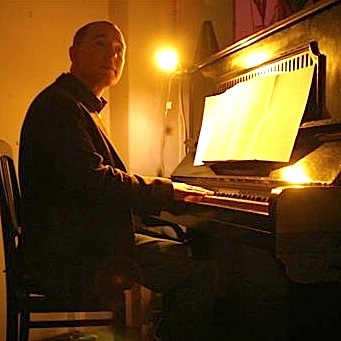 He also has extensive experience as a core member of experimental devising companies such as The MedievalPlayers, The David Glass Ensemble and Lightwork. 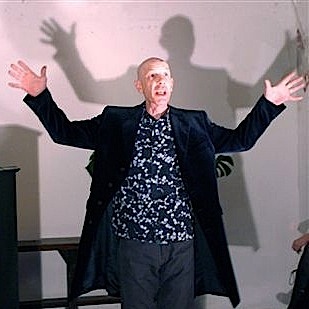 Cooper and Walton met while working with the David Glass Ensemble, with whom they spent three years in South East Asia and South America collaborating and performing with local musicians, street children, Buddhist monks, choreographers and performers from all sorts of different disciplines and experiences. Since then, Walton has been a regular featured singer on many of Cooper’s CDs as well as his commissioned scores and soundtracks. Kevin is now based in Amsterdam. companies based in Iceland, Hong Kong, and Vietnam. For television he composed the score for the award-winning BBC docu-drama Pyramid, as well as scores for short films for Channel 4 and television stations abroad. Over the last five years Jonathan's music has been regularly broadcast on BBC Radio 3's Late Junction and his chamber music has been performed in the USA and Europe as well as the UK. Thangam Debbonaire went to Chetham’s School of Music where she studied the cello with Boris Heller. She subsequently studied solo cello with Raphael Wallfisch for many years and string quartet (with the Apollo Quartet) with Eli Goren. She performed as a soloist with the Oxford University Orchestra and as a chamber musician with many ensembles including Opera Circus and The Cornelius Cardew Ensemble. Her playing has featured in theatre productions including The Chimp That Spoke for the David Glass Ensemble and Beauty and the Beast for the Belgrade Theatre. She performed in Jonathan Cooper¹s The Moon Behind the Clouds at BAC and has appeared as a soloist on many of his recordings. She is also featured on Barb Jungr¹s album Love Me Tender. 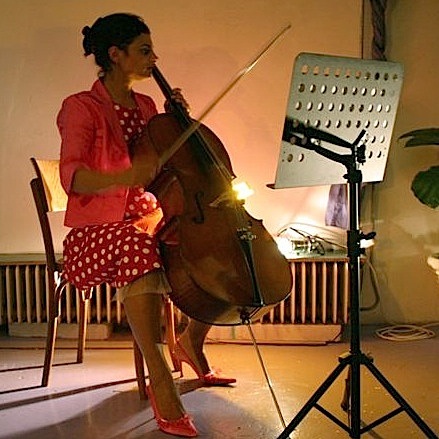 She combines cello playing with her main work as a specialist in research, practice and training on gender based violence and gender equality, which she does with and for governmental, non governmental and community organisations in various parts of the world.